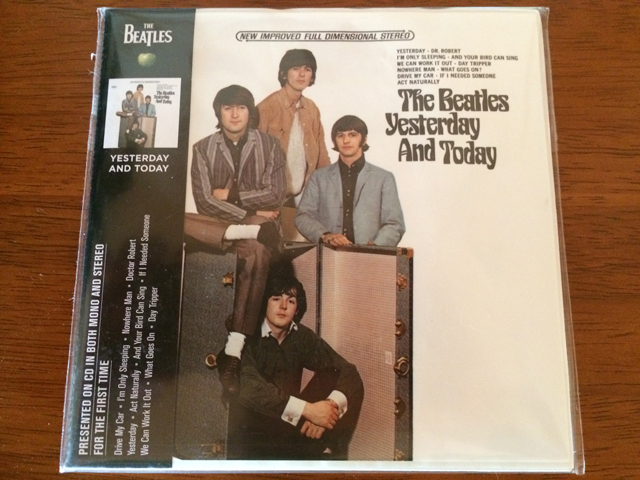 In 1966, Capital Records released a compilation album by The Beatles called “Yesterday and Today” which was only available in the US. In February of this year, Capital released this album for the first time on CD. I recently purchased this album and went through it to see how it compared to the original album. 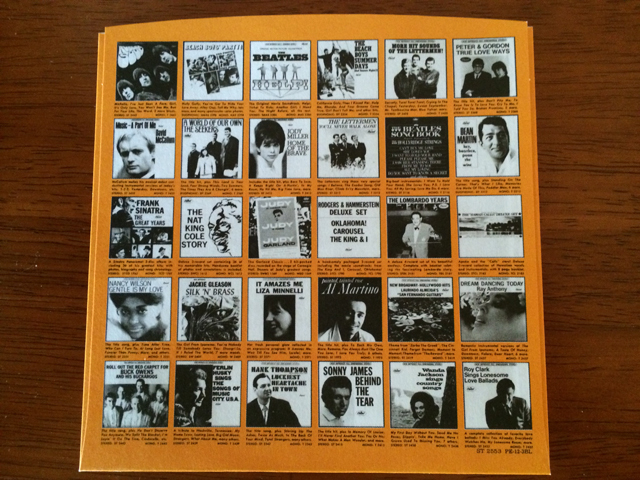 The back cover shows the track listing and other details related to the album like producer, credits and other Beatles albums available. This is what we miss with digital albums that do not include a PDF of both front and back cover art. 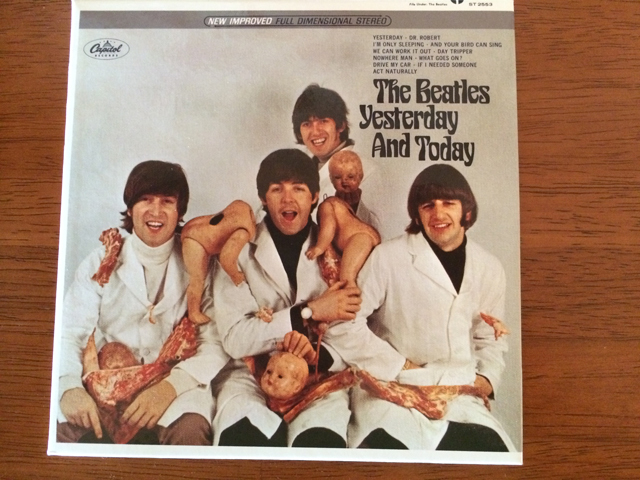 The original cover for the album was of John, Paul, George and Ringo dressed up in butcher smocks, with meat and decapitated baby dolls. John and Paul wanted to do something different, which yes, this is much different than the clean cut look from the early days that the band normally appeared in on album covers. This butcher cover made quite the ruckus when the albums reached the retails stores. Most got pulled, with some exceptions. Collectors are paying close to $40k for “first state” mono and stereo covers. If you want to know more about the Butcher cover, click this link to read the history. If I ever get the money, I would love to own one of these “first state” covers. In 1987, Alan Livingston, who signed The Beatles to Capital Records, released his personal collection of Butcher Cover albums he had stashed away during the recall. These are known as “first state” covers. A sticker to cover up the Butcher cover, as what originally happened with the LP. Reading the Butcher cover history in the link above, there were a number of original covers that had a sticker of the more tame cover photo that was placed over the Butcher cover. Many people that wanted to see the original cover, used various methods of removing the sticker. Most were not successful, as peeling off the sticker also removed the Butcher cover and botched it up in the process. This recreation of the sticker and including it in this CD reissue is a very nice touch to this fan. The track listing below are the songs on this album. There are actually 22 songs on this CD: 11 mono and 11 stereo, as the original release of the album come in both formats. They match the songs on the original album, with a few exceptions, which I discuss below. While this CD has done a great job at replicating the original release of the album, there are a few differences in the tracks used here. 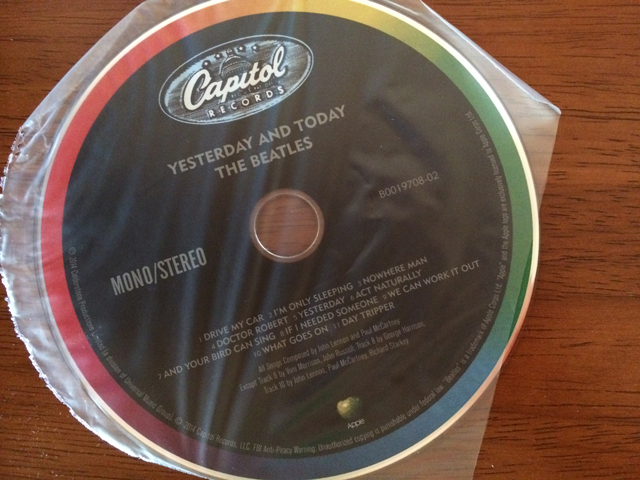 This album was remastered from the same team that worked on the 2009 Beatles remastered collection, which included unique mixes that were given to Capital for this release. The exceptions to the unique US mixes, which are from the UK remastered versions, are: “I’m Only Sleeping“, “Dr. Robert” and “And You Bird Can Sing“, which are all stereo mixes. In other words, these 3 songs do not match what was included on the original 1966 album. These differences are an issue for true collectors and Beatles fans and have been widely discussed as not being exact in the replication of this album. For me, they are not a deal breaker, as I wasn’t quite 3 when this album came out. My brother had this album [the “trunk” cover, not the “Butcher” cover] and my listens to it weren’t until I was closer to 10 years old. Purists might have a hard time overlooking this lack of attention to finer detail, but I’m ok with the replaced tracks. 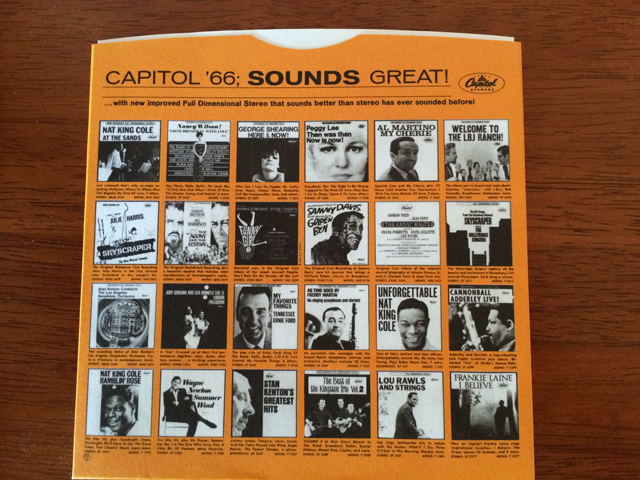 The original inner sleeve for the vinyl LP, which is how all vinyl records were manufactured, is included here on this CD, showing other Capital artists and their albums. I’ve never heard of most of these artists and bands. 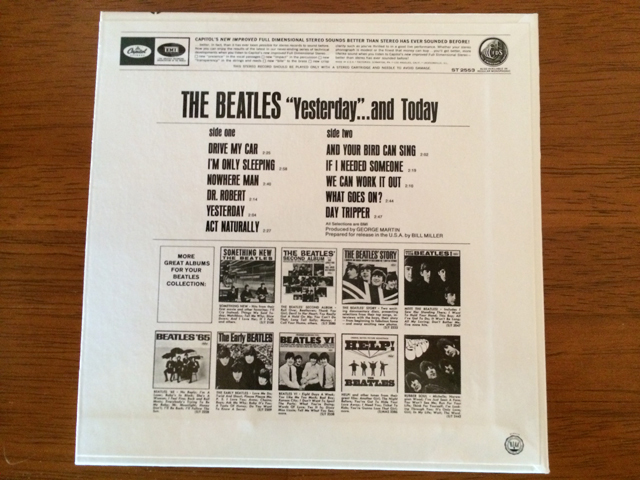 And the back side of the album sleeve, with more promotions for artists signed to Capital Records – including The Beatles previously released albums on the Capital label. 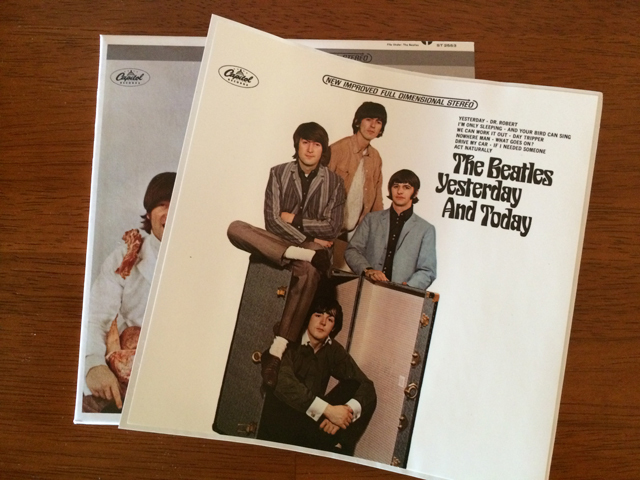 If you are a Beatles fan and want their music on a newer format (like digital or CD), this version of “Yesterday and Today” is a pretty close replica of the original vinyl LP, with some minor sonic exceptions. I recommend getting this album for music and nostalgic reasons. Awesome write up sir. Haven’t listened to The Beatles in forever.